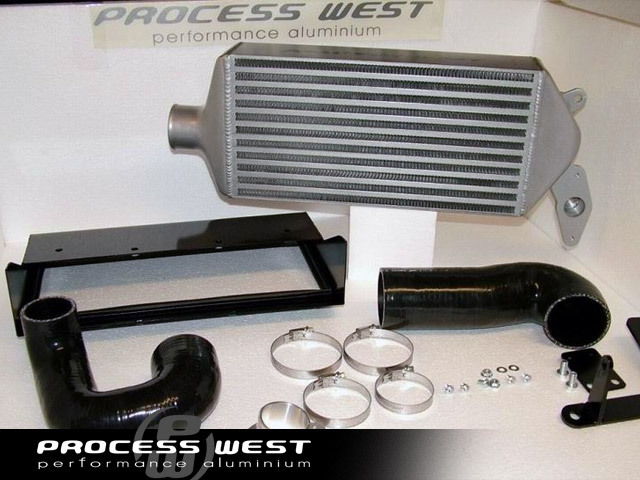 Process West top mount Intercoolers for Subaru WRX, STi, Forester XT, and Legacy GT are some of the most well designed and engineered kits on the market. They include everything needed for a full install including silicone y-pipes, clamps and most important a new intercooler shroud to maximize the bigger intercoolers efficiency. In addition to providing you with the best TMIC on the market, here at Circuit Motorsports we go one step further and offer free shipping on all Process West Intercooler kits! So if you're looking for the best top mount intercooler kit for your Subaru WRX, Subaru STI, Subaru LGT, Forester FXT look no further!